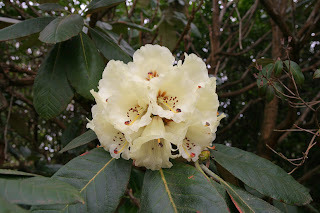 Three big leafed rhododendrons in flower in the gardens. Two species, Rh. calophytum, Rh. macabeanum and a hybrid Rh. macabeanum x montroseanum. Rh. calophytum is a native of West China and Tibet and was discovered by Abbe David and introduced to the UK by Ernest Wilson in 1904. 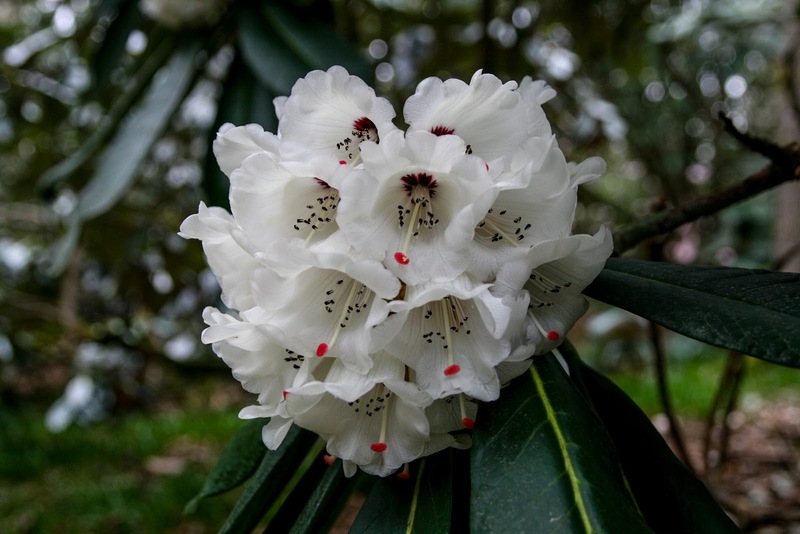 It is an evergreen tree which can grow to 15 metres. Rh. macabeanum is a native of the Himalayas and was introduced to the UK by Frank Kingdom Ward, also evergreen it too can grow to 15 metres. Rh. 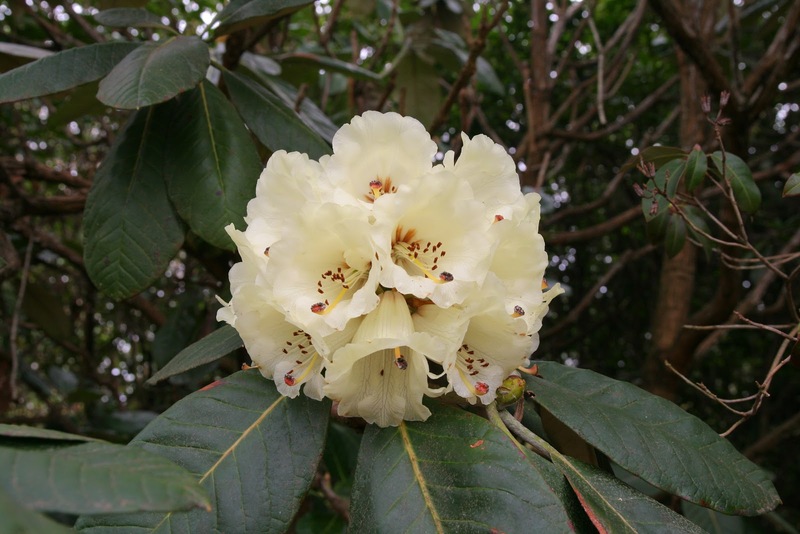 Macabeanum x montroseanum was hybridised at the Saville Gardens, Windsor and given to High Beeches where it is now well established and producing large flowers.